also-don't set up campsite on a game trail for obvious reasons! Critters and wood animals love your food, so rig a system to put all of your perishables into a pack or bundle that you can hang from a high branch on a tree. It’s important to get the food off the ground and away from your tent, as animals are likely to approach you because of your proximity to a food supply. PLBs send a signal directly to authorities. This is unlike the consumer “SPOT” product. The beacon transmits a 406 MHz signal to satellites overhead. The beacon includes your location in the transmission from its onboard GPS receiver. It also has a bright strobe light that operates when the beacon is active. There is no subscription fee for a PLB, but you must register it with NOAA after you purchase it. Note that it is a violation of federal law to misuse a PLB. They are only for emergencies where a life, a limb, or eyesight is in jeopardy. I've heard that Santa has a fresh supply of these this year..
if you get your axe stuck in, rather than struggle to get it out, lift the log up, still on the axe, to full height, flip it round and bring the axe back to your chopping block, axe back (rear) down. This forces the stuck log down onto the axe and usually splits it first time. Who doesn't appreciate a good "wood chopping" tip or two! Hands-free — the ability to use both hands is a major advantage over a flashlight, and for certain activities like climbing, hands-free is imperative. 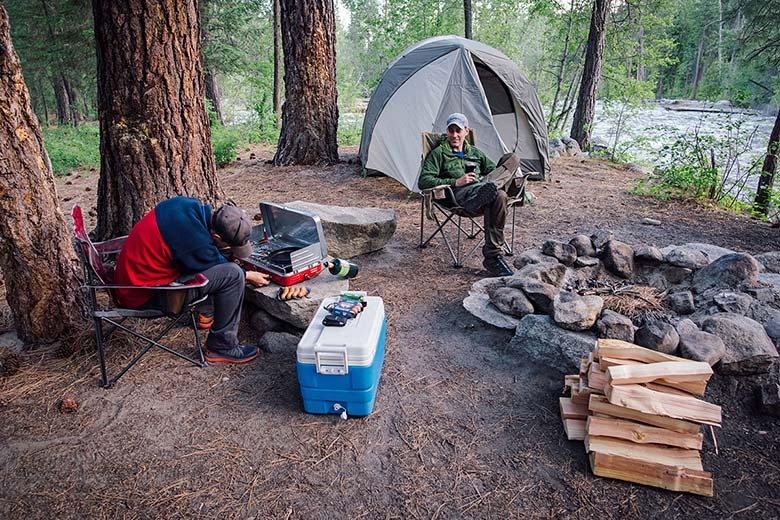 Even around the campsite where a lantern can provide general hands-free lighting, the ability to easily direct extra light wherever you'd like, with just a nod of your head, is an advantage. Compact and Lightweight — they are easy to fit in your pack, and the lightest weigh less than an ounce. Durable — many of the higher quality lights are built tough, offering water resistance sufficient to operate in sustained rain storms. A typical cotton bandanna only weighs an ounce, so for a small amount of weight, you get a lot of function. If you need to clean and re-use it, just rinse it in a stream, lake or river. To sterilize it or to remove grease, boil it in water for a couple of minutes and you're ready to go.Also, carry your bandanna in a zip lock bag or other waterproof container to keep it dry until needed. Of course then, at the end of the day, use it for its intended purpose of opening a nice bottle of wine. homoe .. i like the tactikka+. I hear there are better ones but i'm happy with mine. 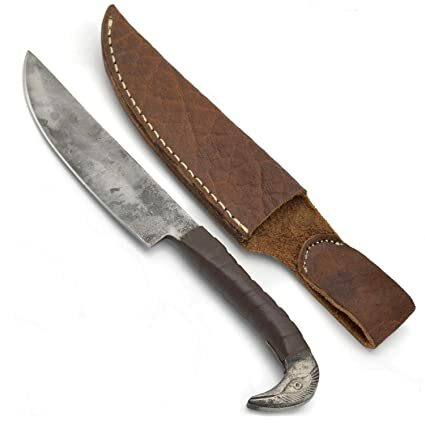 A cheap way to keep carbon steel knives and axes lubricated and rust-free is to use common store-bought Mineral Oil or Petroleum Jelly.